The Graduate Mobility Award encourages graduate students to study and conduct research abroad as part of their McGill degree program by defraying part of the cost of the international experience. The award, funded by the Government of Quebec, is available to all full-time thesis students enrolled in a graduate degree program at McGill who have been approved by their academic unit and Faculty to take part in a mobility opportunity. The mobility award is meant to contribute towards the completion of the student’s thesis. A limited number of Awards are available each year on a competitive basis. Must be enrolled in a graduate degree program at McGill. Must be registered as a full-time thesis student at the time of travel. Must have completed one full-time term at the time of application. Must have held an advisory/supervisory committee meeting within 10 months of the departure date. May travel for up to 2 terms (period may not exceed 8 months). Must be approved by his/her academic unit and Faculty to take part in a mobility opportunity. 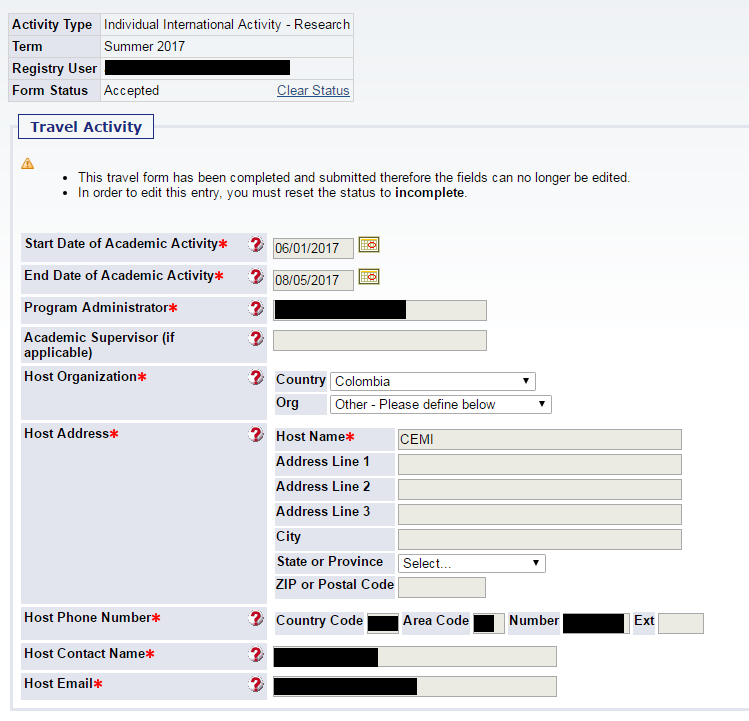 Once an application is submitted and approved by the academic unit, the unit must create a Travel Registry Form. Students must complete their form before submitting an application to Graduate & Postdoctoral Studies (GPS). * Before applying, McGill students on US Direct loans intending to pursue any portion of their program in the US or a foreign country should refer the Scholarships and Student Aid website to check eligibility and impact this funding will have on their US Direct loan(s). Kindly be reminded that each student may only receive one award per academic year. Determined by the Academic Unit/Faculty. The amount of funding provided by the Graduate Mobility Award must be between $750 and $1,500 per month. The amount of funding for travel of duration shorter than a month will be prorated accordingly. Obtain approval signatures from your supervisor and Graduate Program Director (GPD). Follow instructions from your Faculty to obtain the approval and signature of the Faculty designate. Complete the Travel Registry Form (must first be created by your academic unit administrator). Graduate Mobility Award recipients are required to complete a short survey and provide proof of travel (i.e. boarding pass) within one month of their return. Students who fail to complete this step will see their award withdrawn. Kindly note that airfare tickets are not accepted as proof of travel. Several Graduate Mobility Award recipients have shared their travel experience. Explore the 2017-18 Traveler's log to glance at diverse research experiences that have been facilitated by the Graduate Mobility Awards.